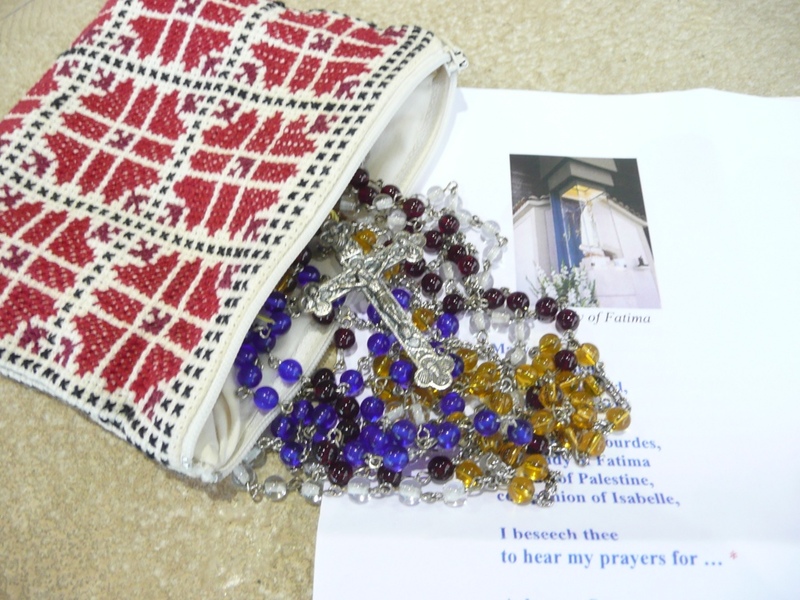 Mom’s 20-decade rosary went with me to Fatima, too, along with all the written prayer intentions people gave to me and all the ones they put into mom’s bag during the homily at all the Masses at St. Andrew the weekend before I left for pilgrimage. I memorized your Mary prayer. I prayed it collectively with my team #4 with the special intention of a young man named Paul. There were no dry eyes at the Wilig chapel last nite. I just looked on my prayer list. I did not have “Paul” next to your name. I do now!!!!! !